At the International Aeronautics Congress in Adelaide, Australia, representatives of NASA and the Russian space agency Roscosmos announced that they had signed an agreement to work together on venturing into deep space, with the first conceptual goal being a deep space gateway. In plain language, that means we're building a space station somewhere near the moon. "While the deep space gateway is still in concept formulation, NASA is pleased to see growing international interest in moving into cislunar space as the next step for advancing human space exploration," NASA's acting administrator Robert Lightfoot said in a statement. "Statements such as this one signed with Roscosmos show the gateway concept as an enabler to the kind of exploration architecture that is affordable and sustainable." In addition to Russia and the United States, Canada, Japan, and the European Space Agency are all interested in the project. That’s everyone currently involved with the ISS, so the groundwork for cooperation is already well-established. Private spaceflight companies may also want to get in on the action as the station gets built out. Why do they want to participate? Russia, for it’s part, has long had plans to colonize the moon, and wants to send astronauts there by 2029 at the latest. Teaming up with NASA could help them achieve those goals more quickly. 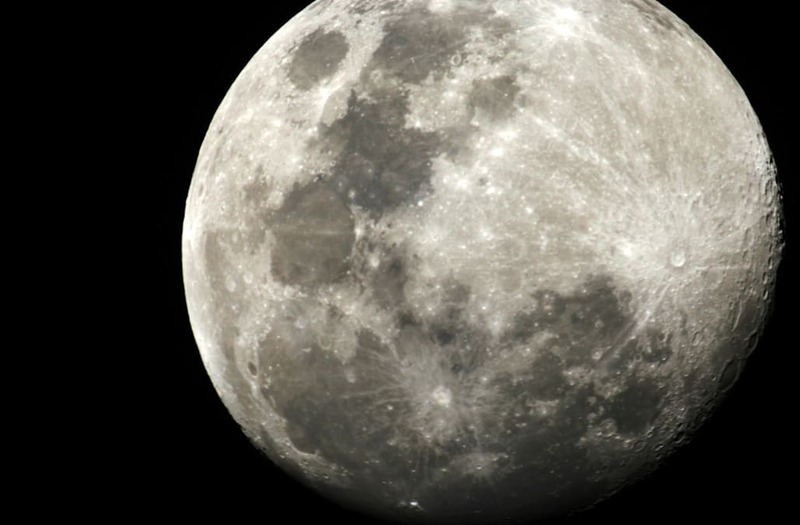 Private companies are also interested in establishing a moon habitat. NASA, on the other hand, is more focused on Mars. The Deep Space Gateway could help by serving as a waypoint towards the construction of a Deep Space Transport, or a spacecraft capable of carrying astronauts on towards Mars. NASA hopes to head for Mars by the 2030s. Why build it near the moon? The moon is convenient for a lot of reasons. On the lunar exploration side, it gets us close enough to those sweet, sweet space rocks to control robots on the surface. It also provides an efficient staging ground for many, many different kinds of missions, both lunar and martian. Sounds great! How will we get there/when is all this happening? These plans are all based around the Space Launch System and Orion capsule, NASA’s next-generation system that it hopes will have its first crewed launch in 2023. Assembly of the Deep Space Gateway using the SLS rockets to transport materials and station parts would happen in the years after that until 2026. If that seems far away, don’t worry: there are milestones to look forward to between now and then. An uncrewed flight of the SLS/Orion system is planned for 2018, and the SLS is expected to carry the Europa Clipper in 2022. NASA has selected six companies to develop prototype habitats for deep space missions, like the Deep Space Gateway and Deep Space Transport. The lucky six are Bigelow Aerospace, Boeing, Lockheed Martin, Orbital ATK, Sierra Nevada Corporation’s Space Systems, and NanoRacks. Lockheed Martin recently announced plans to build a lunar lander as well, fitting into their vision for the Deep Space Gateway. But like the ISS, it's probable that the DSG will be built in pieces—constructed by different countries and entities as time goes on, and as needs for the station evolve. Speculation on the cost of the station is not available yet. Why not keep using the ISS? The ISS is awesome. Parts of it have been in orbit since 1998, and a rotating cast of humans have lived there continuously since 2000. We’ve watched it grow, and it holds a very special place in our hearts. But the ISS is a machine operating under harsh conditions. It’s currently had its mission expanded to 2024, and may be able to keep going to 2028—if that's deemed technically feasible—but the vessel is aging, and space agencies are rightfully planning for a time beyond the ISS’s lifespan. Astronauts and researchers will continue to kick around the ISS as we push to go to Mars and the Moon, using the space platform to test different technologies in space. But there are some things that simply can’t be tested so close to Earth. Out near the Moon, away from Earth’s protective magnetic field, radiation is even more intense. That's closer to what voyagers will encounter in deep space. Having a habitat in an environment slightly more similar to the conditions of an interplanetary journey will make it easier to test systems and technologies for those long treks, without having to debut them on their maiden voyage.